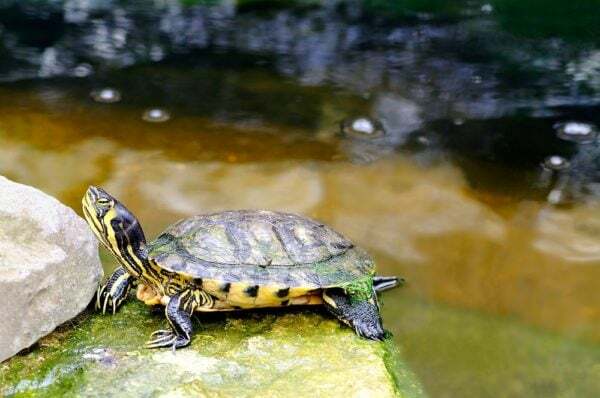 This is a very attractive turtle that is usually kept as a pet animal and if you decide to take it to your home aquarium will really make a great addition. The Yellow Bellied Slider spends most of its time in the water but needs to occasionally get out of water to breathe and dry off. The care requirement of this turtle is almost similar to that of the red-eared slider turtle. The turtle is very popular amongst turtle enthusiasts because it is easy to care for. Those with previous turtle care experience will find caring for this turtle much easier. Still there are other aquarists who prefer keeping the turtle due its characteristic markings. Basically the turtle is known to be very active during the day and a little dormant during night time. In the wild, the yellow bellied turtle is known to spend much of the day basking in the sun. Based on this fact, it is important to provide proper UVA and UVB rays to the turtle. This can be done by ensuring they are either exposed to sunlight or a special kind of lamp designed to emit such rays in captivity. It is best not to disturb the turtle by unnecessary handling as this is something that is known to cause undue stress. They are some of the most attractive fresh water turtles available in the hobby hat will readily add oomph in your aquarium. The males of these turtles are usually smaller in size compared to the females. Adult males are known to grow to between five and nine inches long. The females on their part will grow to between eight and thirteen inches long. The turtles have impressive shells that may appear brown or even black with yellow stripes. They have yellow lower shells that exhibit black spots reason for their naming (yellow bellied). The turtle spends much of its time in water although it occasionally goes out of water to bask in the sun. As for the geographic distribution, the turtle is a native of North America and is usually found in areas such as Virginia and Alabama. The turtles are usually well distributed in fresh water bodies including marshes, lakes, ponds, slow moving rivers, flood plain swamps, as well as wetlands that are seasonal. They usually inhabit shallow waters with plentiful of aquatic vegetation and bottoms that are soft. The Yellow Bellied Slider needs to be housed in larger tank in order for it to feel better and remain healthy. A turtle tank that is at least 100 gallons is best suited for a single turtle and should hold very clean water that replicates the waters they inhabit in the wild. The yellow bellied slider turtle only does best when housed in water that is of very high quality and clean. This therefore calls on you to set up good quality filtration system that will ensure that water will be kept clean and pure at all times. It is advised that you keep the water temperature to recommended dimensions which can be anything from 75 and 80 degrees Fahrenheit. For you to achieve this, you will need to have a submersible water heater installed. It is also advised that the depth of thank water is set to such a way that the turtle can easily get totally submerged. The tank also needs to be wide enough to allow the turtle to easily swim around in a comfortable manner. Some experienced turtle experts that have kept the yellow bellied turtle even recommend a depth of eighteen inches. These turtles enjoy basking a lot when they are in the wild and this need to be replicated for them when in captivity. Ensure that the basking area that you provide for your turtle is large enough for it to be comfortable. The material used on the basking area ought to be non-abrasive allowing the turtle to able to dry off completely. A heat lamp can be used to help warm up the basking area with the recommended heat there to be in the ranges of 80 and 90°F. It is best also best to hang UVB light bulb over the enclosed space for your turtle. 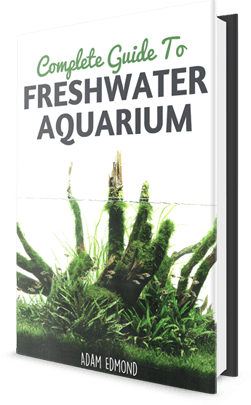 This is not important is usually a matter personal choice amongst turtle hobbyists but the truth of the matter is that having a substrate in a turtle’s tank is a recipe for untidy tank. If you choose to have a substrate installed in your turtle’s tank please be sure to install high quality water filtration system to help keep the water clean at all times. Tanks that have substrates must also have the water changes done on a regular basis to help keep things clean. For the substrate material it is advisable to use larger gravel that will not be easy for the turtle to consume orally. The Yellow Bellied Slider is social and will easily mingle with community mates that small and well behaved like it. If you prefer to have your turtle live with other peaceful species of turtles just ensure that the space that you provide is big enough. It is one kind of fresh water turtle that likes to occasionally come out of the water to bask in the sun. Even though it is not an aggressive turtle that will not bite when held, it is best to avoid carrying it up all the time to avoid causing it undue stress.